Now we've entered December, the festive shows on offer are really stepping up, with the Union Theatre's Striking 12 providing a festive but not in-your-face-Christmas 90 minute story to warm hearts and have toes tapping. With an eclectic score by Brendan Milburn and Valerie Vigoda's this re-telling of Hans Christian Anderson's The Little Match Girl, switches between a contemporary New Year's Eve and the 1840s New Years Eve where the Anderson tale is set. Declan Bennett plays Brendan, a man who dislikes NYE as he's haunted by memories of his ex-fiancé; whilst home alone, he reads the Anderson tale and is reminded of the importance of giving and sharing. Bennett is vocally powerful and gives an admirable performance despite some sound issues, especially towards the start, which made him hard to hear. In the 1840s setting, Bronté Barbé plays the Little Match Girl with a sweetness and sincerity that the audience can't help but be drawn to, and in the modern setting, she plays an equally kind and appealing character as a girl selling seasonal lightbulbs. 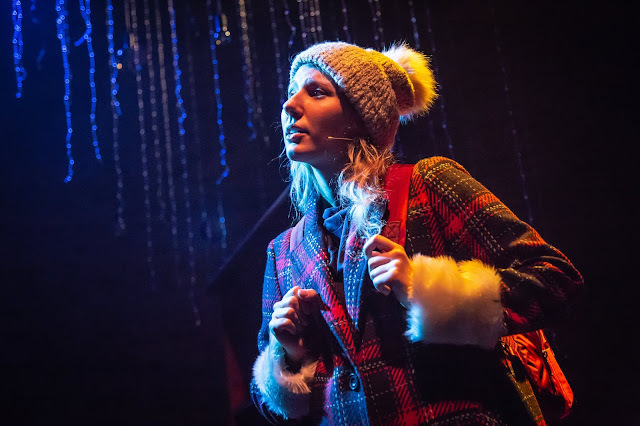 Barbé's effortless vocal performance is utterly mesmerising to watch and, helped by Alex Lewer's lighting, really evokes the warm feeling we all desire at Christmas. 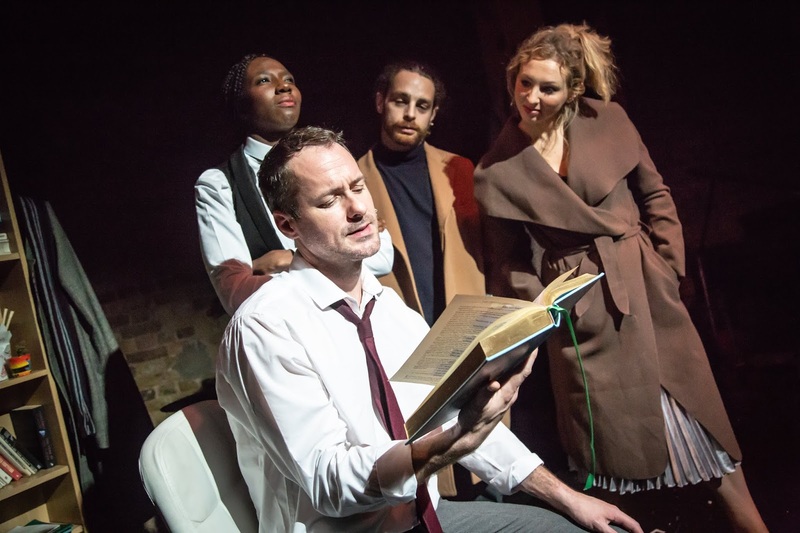 The rest of the cast are made up by Andrew Linnie on piano, with Danielle Kassaraté, Kate Robson-Stuart and Leon Scott acting as narrators, secondary characters and musicians in a series of seamless turns and twists. The trio do an outstanding and humourous job of moving the story forward and work extremely well together in the small space of the Union. Whilst the cast are very strong and the story is sweet, there are a few faults with this production, mainly that the overarching story, doesn't have much oomph as it lacks emotional depth. Our leading man spends the entirety of the show reading about the struggles of the Little Match Girl so that he eventually becomes a 'new man'. However, he wasn't bad to start with, at least, from what we see. Other than turning away the young girl selling light bulbs, there isn't a scrooge-like aspect to him so his transition doesn't feel overly effective. There's also a number of mentions of his ex-fiancé which aren't explored, so again, have little impact. However, even with these issues, the story is super sweet and with a couple of tweaks could be a real hit. 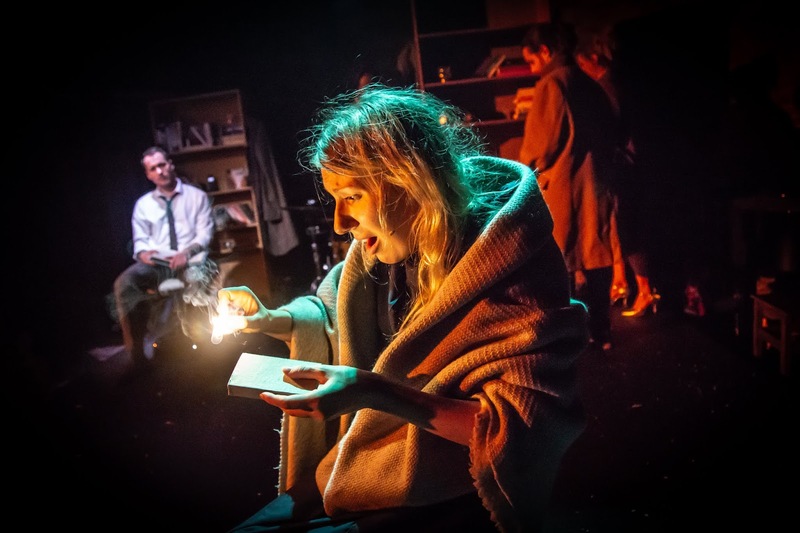 To combat those winter blues, and get a fuzzy feeling inside, be sure to take a trip to the Union Theatre and spend 90 minutes with Striking 12.